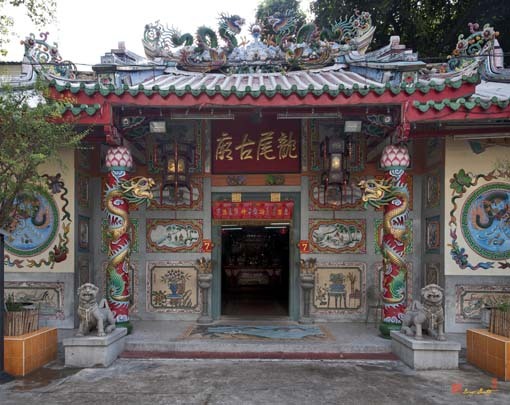 Leng Buai Ia Shrine, ศาลเจ้าเล่งบ๊วยเอี๊ยะ, a Thai-Chinese Temple in Bangkok, Thailand, was originally an ancient Tae Chew Shrine. 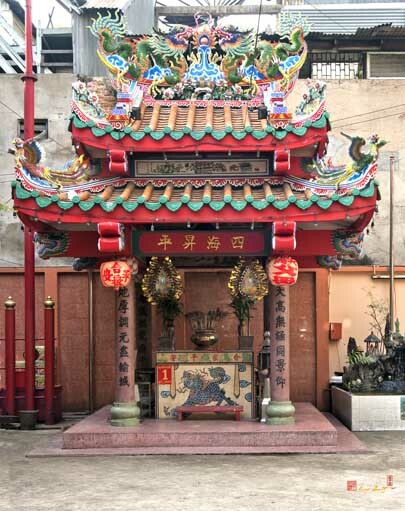 Chinese businessmen in this area came to this place of worship for refuge and to improve the prosperity of their businesses. 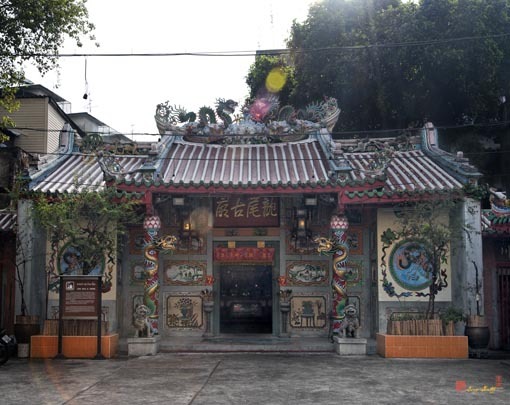 The shrine is a medium-sized building built in traditional Chinese architectural style. 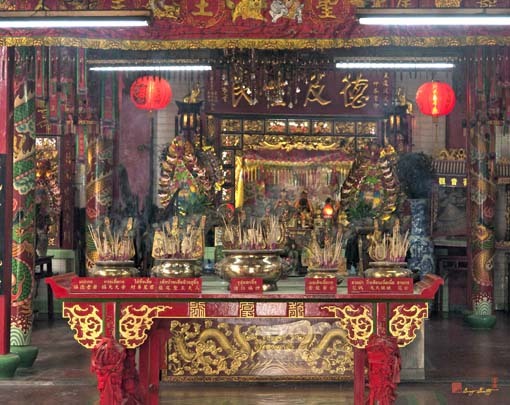 It is assumed to be the oldest Chinese shrine in Thailand. This is evident in the plaque inscribed in Chinese, stating that it was built in 1658 (B.E. 2201), corresponding to the central Ayutthaya period. From the main entrance of the shrine compound, there is the principal building in the shape of a mountain. The roof is made of glazed, colored tiles. 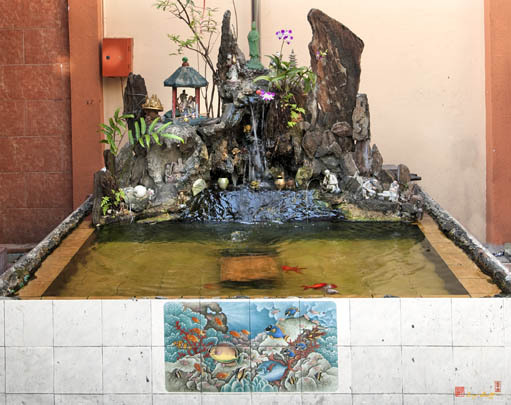 Two tile covered dragons facing each other decorate the rooftop. 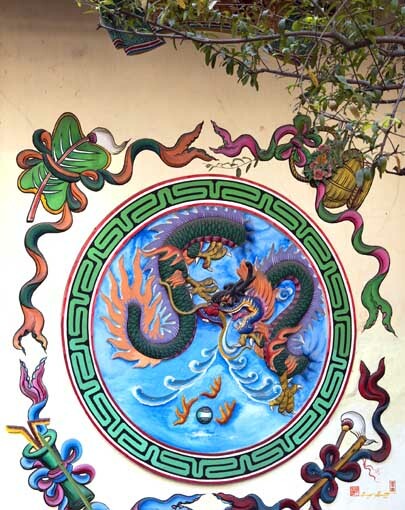 The columns of the shrine are encircled by twining stuccoed dragons. Inside is an alter of Leng Buai Ia and his wife in the center. 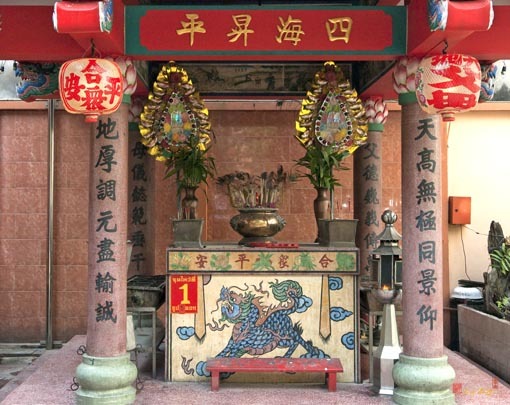 On the left is an image of Gong-Wu deity and an image of the Queen of Heaven on the right. 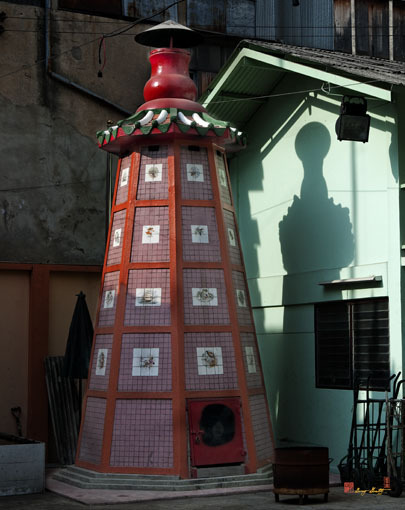 To the right of the entrance is an ancient bell built by Emperor Tao Kwong towards the end of the Ching dynasty. This three-hundred year old shrine also features some significant ancient objects. For example, three ancient plaques written in the reign of Emperor Kwang Si of the Ching dynasty; a bell inscribed with the name of Choen Thai Chue, made for this shrine in particular; and, finally, a container for incense sticks, a royal gift from King Chulalongkorn, King Rama V.